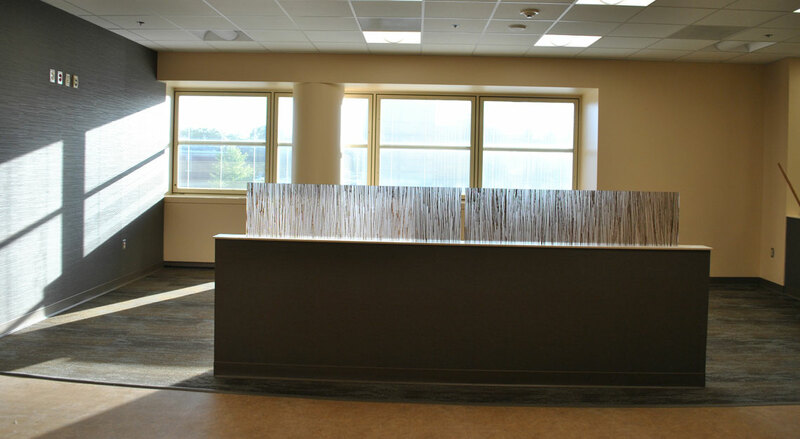 This $3.8 million dollar project was a 2-phase, complete renovation of the existing eye clinic, nurse control space, O.R. 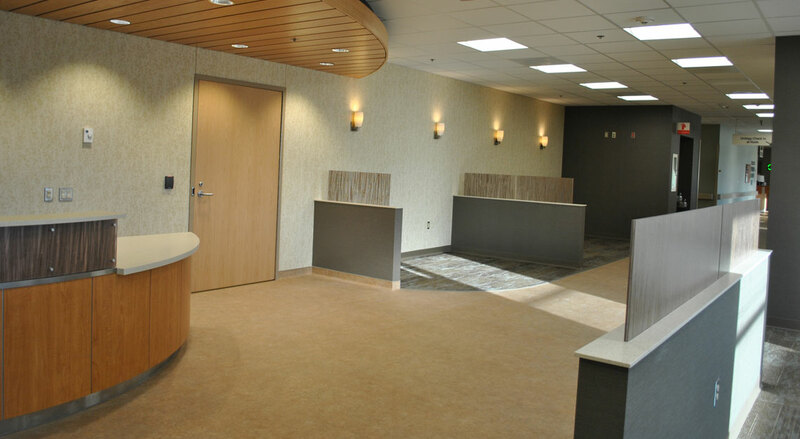 conference room and driver’s lounge to create a new state-of-the-art surgery center and satellite pharmacy. 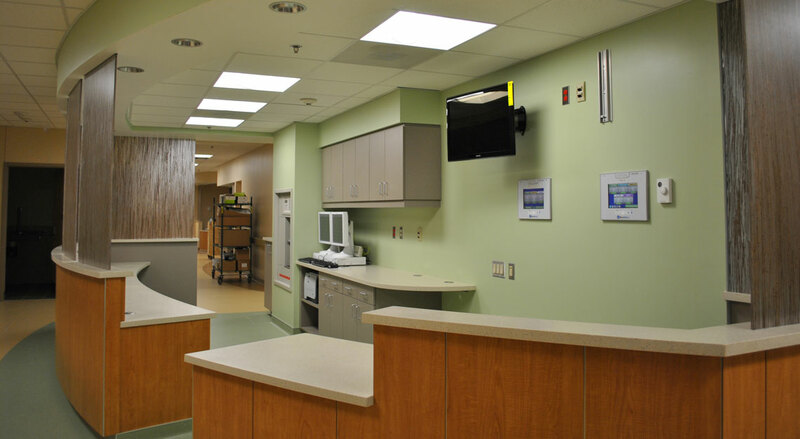 It included new waiting areas and check-in, pre-op rooms, 26 post-op recovery rooms, nurse’s stations, nurse control center and staff work areas. 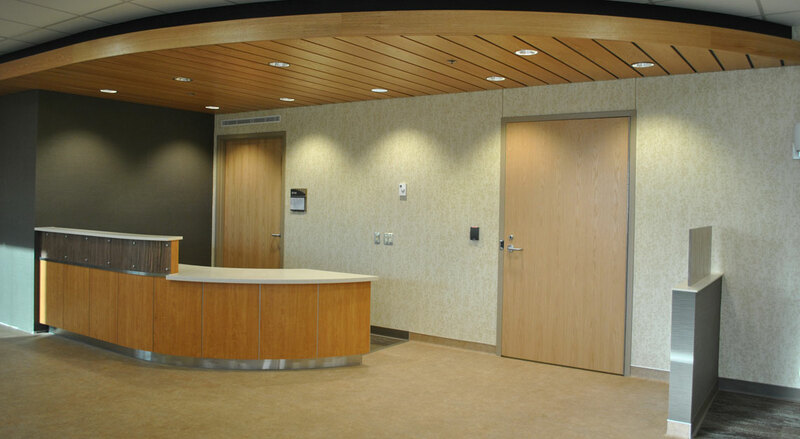 Versacon worked closely with design team, facilities management and O.R. nursing staff to coordinate work, shutdowns and implementation of infection control procedures as the project was adjacent to the hospitals existing 19 operating rooms which were still being utilized. A portion of the project required full-gown clean room suits in order to perform work in or near sterile areas. This project was long overdue as the facility hadn’t been updated since the mid-1980s. The project consisted of complete demolition, new steel stud framing, structural supports, and a complete renovation and upgrade to the mechanical, electrical, and low voltage systems. 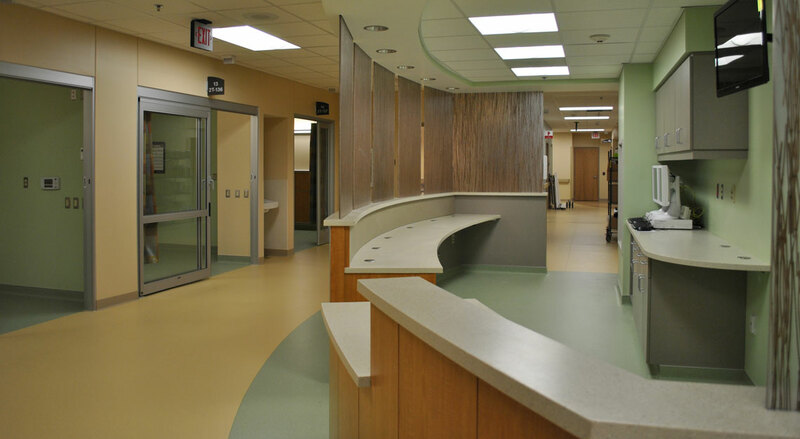 In addition all new finishes were selected, including, new Dura Care sliding ICU doors, Hill-Rom patient headwalls units, patient care lifts, 3 Form paneling, acoustical wood grain ceiling, and various graphic wall art and wallcovering. 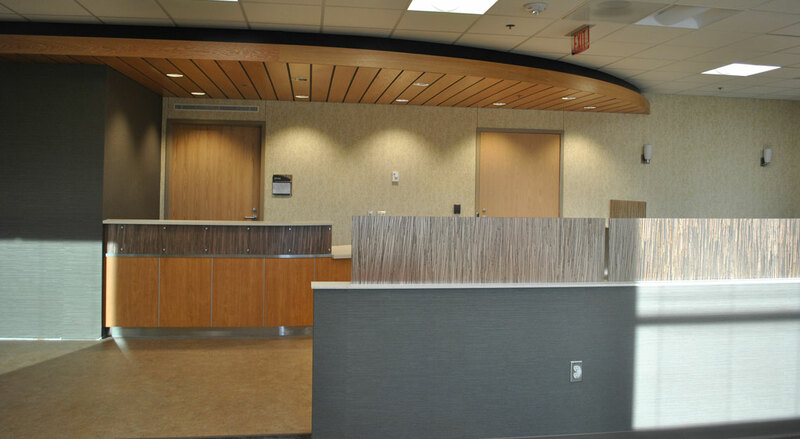 The space is now open and has been brought up to the newest standards and latest technology in health care facilities today. 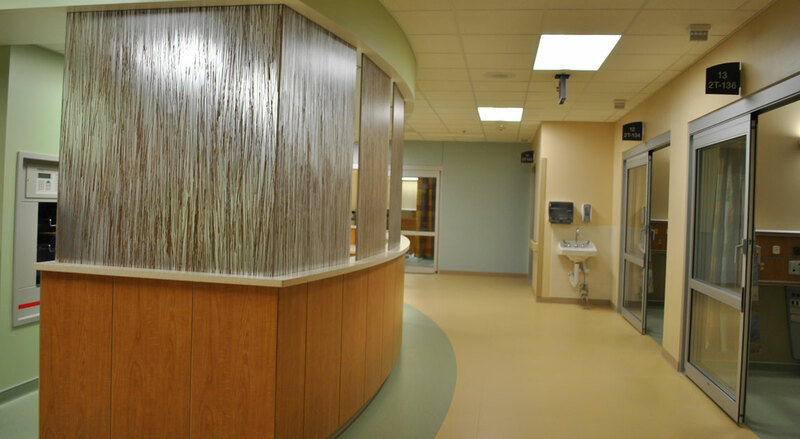 It has helped nurses and doctors better care for patients and helps provide a comfortable atmosphere for patients as they recover.